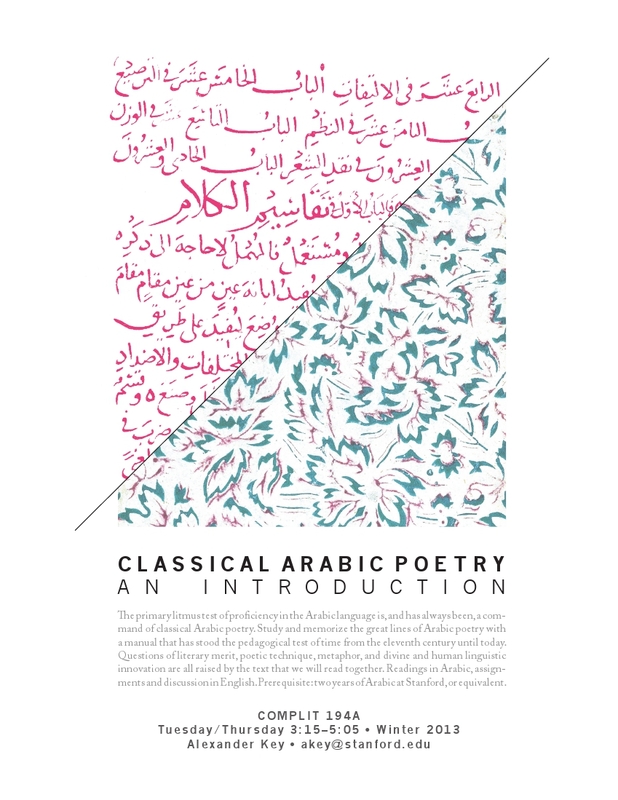 This winter, Professor Alexander Key will be teaching a course on 'Classical Arabic Poetry' at Stanford. This is the first time that such a course is offered and it will include readings in Arabic as well as assignments and discussions in English. The primary litmus test of proficiency in the Arabic language is, and has always been, a command of classical Arabic poetry. 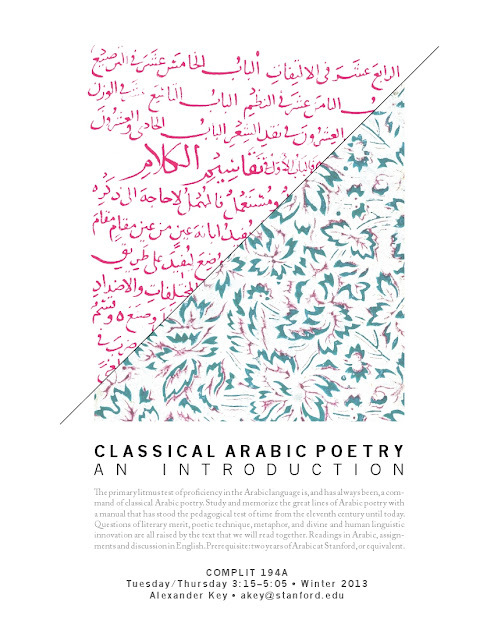 Study and memorize the great lines of Arabic poetry with a manual that has stood the pedagogical test of time from the eleventh century until today. Questions of literary merit, poetic technique, metaphor, and divine and human linguistic innovation are all raised by the text that we will read together. 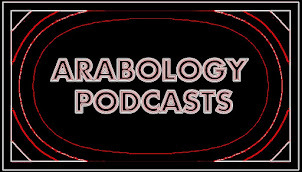 Readings in Arabic, assignments and discussion in English. Prerequisite: two years of Arabic at Stanford, or equivalent.